Christina D. Warner, MBA, Author of upcoming book The Art of Healthcare Innovation. Check it out at christinadwarner.com. Thank you so much for joining us! Can you tell us a story about what brought you to this specific career path? Working as an Engineer for large scale commercial and institutional buildings, I always felt I wanted them to do more — to be better buildings. By “better” I mean more efficient, environmentally conscious and healthier for occupants. Over the course of my many years in the building industry, I followed the latest trends in creating energy-efficient buildings. I also attended many trade shows and business development seminars. The importance of building better structures and issues of sustainability kept arising with increasing frequency. Solutions that came up were only Band-aids that offered various new or cheaper products like energy storage batteries that are still wasteful, disposable and not long term answers. I knew instantly that I needed to take my career in a direction that put customer needs and environmental issues at the forefront equally. In my devotion to creating the healthiest possible commercial buildings, I realized there is also a broader scope in building residential homes using “BaaB™” (Building as a Battery) technology. Our “smart floor” technology can be applied in any new structure as our software can capture values that are otherwise lost regardless of a building or home’s size. I am continually meeting the most interesting visionaries who are passionate about creating better buildings in our modern world. I have immense gratitude and respect for the number of people I encounter daily who are dedicated to making the world a better place. My career has taken me around the world where I continually meet all kinds of people from entrepreneurs and scientists to government dignitaries. The one thing they all have in common is a sense of excitement that good change is possible today. By collaborating with such likeminded individuals, we are buildings better buildings one at a time. Can you tell us about your “Big Idea That Might Change The World? “BaaB™” technology is geared for the mainstream market and has mass global appeal. It is versatile, universal and can be widely applied in any new building project — from residential homes to large and different building types. We are paving the path for healthier indoor environments and environmental sustainability worldwide. I am determined to create the greatest number of “Healthy Buildings” in the world possible. By “healthy” I mean more than just sustainable in the traditional sense where we consume less energy and emit less waste. I also want people to have better experiences being inside these buildings. When people think about the environment, they usually talk about external factors like pollution, smog, depleting resources and other such theoretical issues that they don’t necessarily experience firsthand on a day-to-day basis. I want people to feel fresh, clean air and radiant comfort while being inside these buildings. The notion of “sick buildings” is starting to come to light in the media. It is something I have known about for a long time, and I am thrilled people are beginning to understand it and want to do something about it. Recycled old air from poorly ventilated structures and wet HVAC systems produce unnecessary waste. People deserve better. 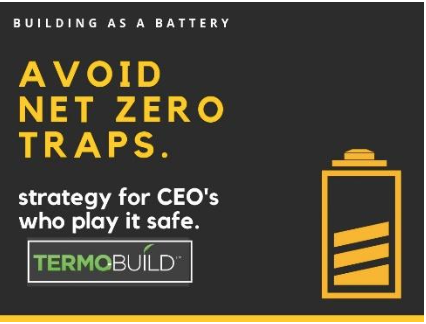 My building system has a way to provide fresh, clean air and reduce the load on heating and cooling systems to produce radiant comfort year-round in any climate through a patented energy storage system that views the building as a battery. This is a healthy holistic approach to building and is something that can change the way we live and work. Connecting dormant assets like concrete “Smart Floors” and HVAC + AI (Artificial Intelligence), “BaaB™” performs like a conductor of an orchestra. It aligns with a great number of stand-alone products to creates dynamic harmony instead of a passive one. “BaaB™” starts from a series of stand-alone buildings to connecting a grid of interactive buildings that virtually expands across power stations and produces the ability to meet more needs and consume less energy. Was there a “Tipping Point” that led you to this idea? Can you tell us that story? As a young girl, my daughter experienced extreme allergies and was consistently on antibiotics. I always felt it had something to do with the environment she was in. The school she attended was an old building with poor ventilation. It wasn’t until I started to meet environmentalists and other forward-thinking people that suddenly it clicked — the way we experience life has everything to do with the environment we are in. “Sick building syndrome” is real. There is a solution to it. 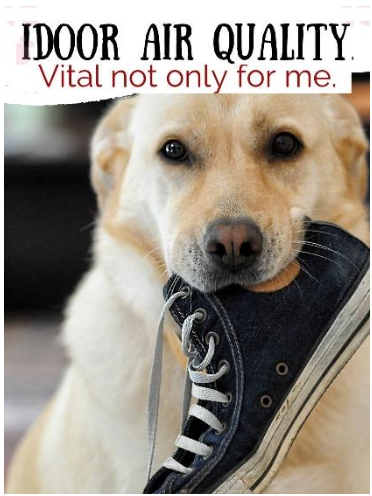 We have to bring it to mass awareness and do something about it. What do you need to lead this idea to widespread adoption? We need public policies that promote innovation and enforce healthier building standards. People also need to be educated and aware of how their surroundings affect them. Every new school, government building, hospital, and the essential public facility should be built in such a way. “Smart” City promotes the health and safety of its indoor occupants and reduces its carbon footprint at the same time. “BaaB™” is ready to deliver it today. What are your “5 Things I Wish Someone Told Me Before I Started” and why? Being a leader is harder than you think. Steve Jobs said, “Innovation distinguishes between a leader and a follower.” Being innovative in the very conservative building industry has not been met without serious challenge. Persistence in the face of many rejections has made me rise above to create buildings that are tried and true. Doing the right thing isn’t always doing the “easy” thing. Being devoted to resolving environmental concerns and health-related issues has often been a struggle. There are giants out there whose success have been built without awareness or regard for their impact on people and their surroundings. Patience is a real virtue. Sometimes you question whether things will manifest and just as you are at the teetering point, you get an award or an invitation to speak at a prestigious event, and you realize you are on the right path. Social media is a real force. I could never have imagined how much business and how many contacts materialize through social media. It’s incredible how connected we have all become. On the flip side, there is so much information out there it can be a challenge to get noticed. It’s so difficult to change the status quo even though what you are doing is in the interest of the public good. People and decision makers are resistant to change. Since technology and children are the future of the world, I would invest in education — specifically on how to build better buildings. If people understand how we live and exist in buildings around the world, they would realize how incredible it is to accomplish so much with little environmental impact or harm. Moreover, the healthier the indoor environments in which we study, the healthier we remain and the more innovative and smart we can become. Which principles or philosophies have guided your life? Your career? Never give up. Stay positive. Do the right thing and keep your eye on the prize. Work hard. Be persistent. Never second guess yourself. And if you work hard, you never will have to second guess yourself. Some very well known VCs read this column. If you had 60 seconds to make a pitch to a VC, what would you say? If someone told you it’s possible to build a brand new better building for the same cost as a conventional one plus this new version would consume less energy and be remarkably healthier for its indoor occupants, which version would you choose? “BaaB™” (Building As A Battery) is in part a gas station of the future that is available today. Unlike others, our batteries are renewable, rechargeable and not disposable. Our buildings work in symbiosis with Nature 24/7 to capture, store and release cool and hot air upon demand. With a constant stream of new outdoor air entering through a system of concrete slabs, our buildings provide continuous fresh air to its indoor occupants. Construction industry players that are using an old business model are ripe for a real transition to a digital-driven economy. For example, Smartphones can be considered a brick of plastic without any software to drive its functions. Similarly, “Smart Floors” driven by software open a world of new possibilities. New technology is worth so much more than old and fading ones. Untapped and profitable opportunities are waiting for global investors and leaders to reap the benefits from “BaaB™” proven technology. Our Smart platform is about seeing and delivering new values that others overlook. Beyond the health and environmental benefits, our system was initially designed to address significant financial advantages have been a surprising bonus reward. With strategic off-peak energy storage and features like night-time precooling, long-term operational building costs have been remarkably reduced. “Buy low and sell high” energy on the grid is a feat that cannot be ignored. Regarding the pre-cast concrete industry as a whole, it has not been touched by the digital revolution nor has its business model changed. The share price of publicly traded companies has also not changed in twenty-five years. It is currently ripe for restructuring. In terms of new energy markets, the possibilities are worth so much more than those old and fading. Future-proofing higher quality real estate assets using a new digital business model is ripe and ready. 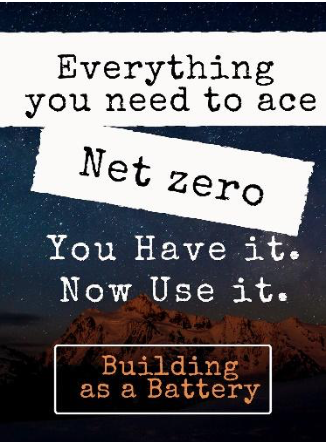 Despite its advantages, the widespread market adaptation of Net Zero Buildings is hampered by costs and perceived complexity. Many are waiting for government handouts to support low-energy buildings. There is no need to wait for anyone. From a business standpoint, the ROI is immediately available, and its health and environmental benefits are priceless. Termobuild buildings perform better than conventional buildings in every capacity. They use less energy, pollute less, have fresher indoor air and happier occupants. Considering we spend at least 1/3 of our lives inside buildings working at a desk, imagine the productive possibilities from happier occupants in addition to the overall appeal. 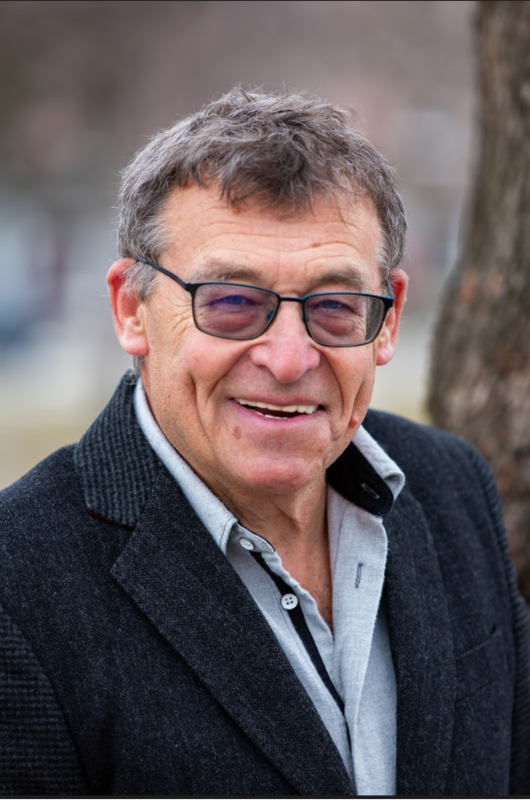 Jack is a licensed professional engineer since 1980. Between 1980 to 2000, Laken was the principal of a consulting engineering company. His involvement specialized in the use of conventional HVAC and electrical engineering for institutional, commercial and residential buildings. In 2003, Laken founded a new company, Termobuild that evolved to become a specialist in radiant, resilient and energy efficient Net Zero “Smart City” buildings. 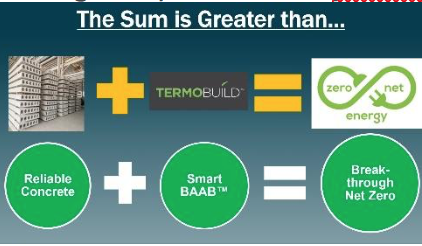 At the core of Termobuild’s method is our “Building as a Battery” (BaaB™), a minimalist technology. The basis is using the structure to capture, retain and distribute heating and cooling naturally without heavily relying on bulky energy-guzzling conventional indoor comfort systems. We have found a new cost-effective way to secure multiple value streams where other solutions fail. Our system emphasizes healthier living, energy efficiency and the use of compact conventional equipment as a backup. All of this is accomplished by transforming otherwise dormant concrete in the structure into “smart” useful elements. We are paving the way for “Smart Cities” resilient structures — a strategic fusion of concrete and a proven algorithm that works to heat and cool buildings naturally. For centuries concrete floors have been used to perform a single structural function — reliable floor. We treat buildings as untapped resources and conductors interacting with many other systems to achieve profitable and healthier outcomes. 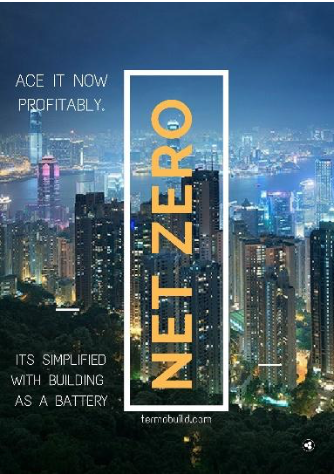 Net Zero + BaaB™ proven technology is available and attainable on a lean budget. We collaborate with Real Estate Investors, Developers, Architects, Engineers and Facility Managers at the design stage of new buildings. Together, we collaborate to design custom Smart City ready buildings. As a result, they consume less energy, operate more efficiently and best of all, work with economical budgets. Our design begins by maximizing modest budgets expectations. Re-engineering dormant assets in proposed designs leads to the added value that is otherwise lost. Artificial Intelligence (AI) is another feature of our system that is used on top of conventional controls to eliminate wasteful building routines. Our proven algorithm works alongside Mother Nature 24/7 to create the most comfortable, climate-controlled fresh indoor air buildings around. Healthcare Innovator I Marketing Strategist I Connector. Christina D. Warner initially joined a top Fortune 100 in 2018 and help grow the provider marketing pull-through health plan initiatives and implementation process. She plays a critical role in tactical marketing with disease states such as Neurology, Multiple Sclerosis, Gastroenterology, Pulmonary and Bleeding disorders. Before that, Christina joined Northwestern Feinberg School of Medicine and worked in partnership with the Michael J. Fox Foundation on clinical trial initiatives for Parkinson's Disease. Christina also worked in an international trading firm, spending her time equally between Taiwan and China. Christina is a writer for Authority Magazine and Arianna Huffington's Thrive Global. She is known for her thought pieces on the intersection of cutting-edge healthcare, marketing innovation and executive interviews. Her interview series is "Ideas That Can Change the World" "The Future of Healthcare" and "Leaders of Healthcare" and has been quoted in many national publications. Christina received her MBA at The Fuqua School of Business, Duke University, where she earned a concentration on healthcare sector management (HSM).